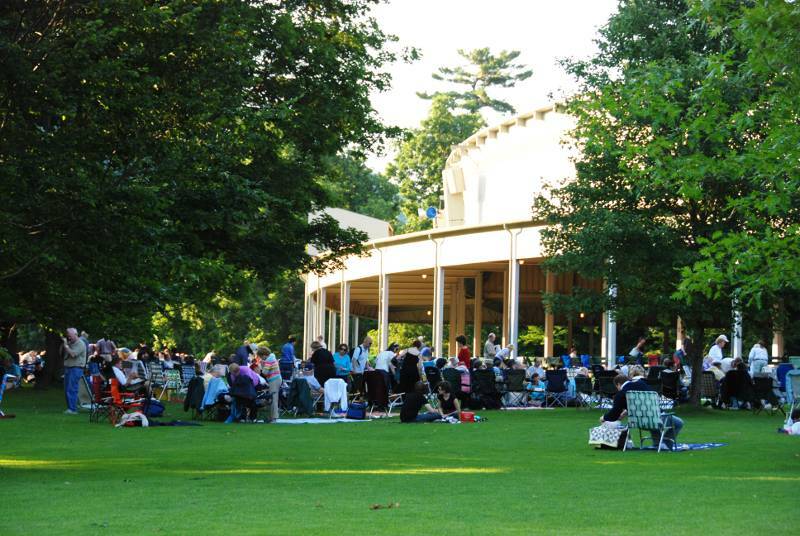 Thanks to the programmers at PBS, the rest of the country will get another opportunity later this year to see what we in the Berkshires are well aware of – The Boston Symphony’s summer home at Tanglewood is the ideal music venue. The PBS television crew will capture the BSO’s season opening gala on July 14 for telecast on its Great Performances program, Friday, August 10, 2012, 9:00 PM ET. The concert will feature the Boston Symphony, Boston Pops, and Tanglewood Music Center orchestras, with performances by Emanuel Ax, Yo-Yo Ma, Anne-Sophie Mutter, Peter Serkin, longtime Tanglewood friend James Taylor, the Tanglewood Festival Chorus, and other special guests, led by conductors John Williams, Keith Lockhart, and Andris Nelsons. The BSO is one of the many great regional arts institutions to be featured on GREAT PERFORMANCES over its four decade history, said David Horn, executive producer, GREAT PERFORMANCES. GP has enjoyed a long association with the BSO and its summertime home at the Tanglewood festival, dating back to our extensive broadcast collaborations with Leonard Bernstein. We are delighted to return to Tanglewood for this 75th anniversary concert, which also represents a wonderful homecoming celebration for us.